The "Recovery" Phase should form a key part of a training plan to ensure that your body recovers effectively and enables you to start training again without injury and at full capacity. The body undergoes a huge amount of physical duress especially during a long event and experts say that it can take up to two weeks post a marathon for the muscles to return to full strength. - Walk around for a least 15 minutes after the race to let your body cool down. - Ensure that you put on some dry warm clothes to prevent you from getting cold. - It is really important to eat something within 30-45 minutes of finishing the race to keep blood sugars up and to help to start repairing muscles. - Good foods to eat are bananas, bagels, nuts, nut butters, fruit. - Drink plenty of fluids such as water or additional energy drinks. - Treat blisters, chafing or cuts to ensure that they don't worsen and become bigger injuries. - Fill the bath with cold water (ice is optional), get in and stay for up to 10 minutes. You can stay in longer (up to 15 minutes) but if not used to regular ice baths it is better to stay in for less time. - Ice baths are believed to constrict blood vessels, reduce swelling and reduce the breakdown of tissue. The advantage of having an ice bath vs. putting an ice pack on is that large areas of muscle can be treated all at once. - If you don't have access to a bath then you can take a shower. Use a combination of warm and cold water on your legs. - Key for any recovery. - Sometimes adrenaline can hinder sleep post a race but try to get as much as you can. - If you have had a light massage post race this can often help with sleep as it helps relax the nervous system. 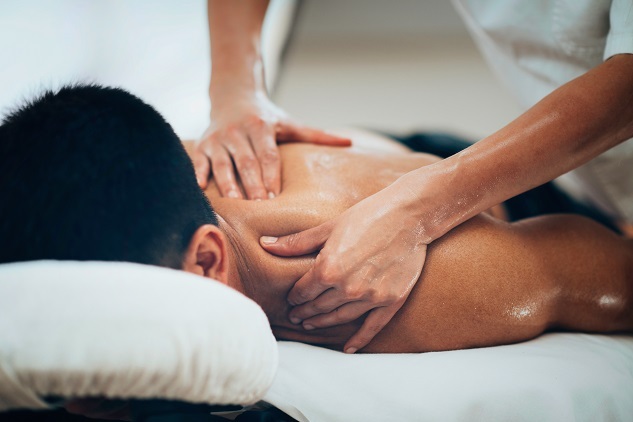 - You are often able to book in for a quick massage on the day of the race. Charities often organise a free treatment after a marathon for their runners as a thank you for raising money for them. These massages will be quite short and light and are worth having as they help kick start muscle recovery and ease any soreness. - Wait until at least 24 hours post your race to schedule a longer massage. Within 2-3 days post your race any treatment should be a light flushing massage to help with recovery and muscle soreness. A deeper treatment at this stage may aggravate any inflammation and delay the recovery process. - After 3 days you can schedule a deep tissue massage to help deal with any remaining niggles or injuries to get you back to full fitness. It is also important to keep active in the few days post your race but any exercise should be light such as swimming or walking or a light jog. The experts say that any significant training shouldn't start until 10 days post a marathon for example as there is the potential for injury if the body hasn't had time to heal and recover efficiently.